Beautiful picture, reminds me how much I enjoy looking at butterflies on pretty flowers. So beautiful!! I really love the bit of movement in the nearest wing!! Makes the butterfly seem more alive! Both, the butterfly and the flower are stunning!! a delightful image! love your quote, too. 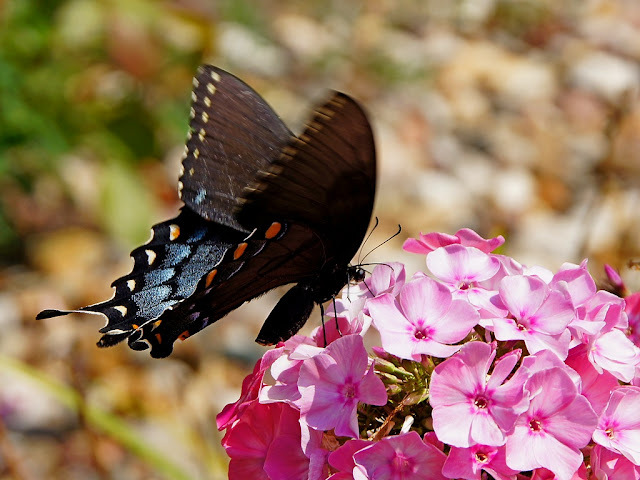 Awesome shot of this Black Tiger Swallowtail. Love the words of JM Barrie and so appropriate today for the weather in the northeast.Memory is a way of holding onto the things you love, the things you are, the things you never want to lose. Happy New Year! I I miss my hydrangeas. great shot of the butterfly. What a lovely sight on a gray, wintry day! The depth of field here is perfection. E' la mia preferita fra tutte le altre.